This aerial view of Brgy. Taboc (San Juan) was taken this Sunday morning from an altitude of 105.60 m. ASL, with the camera pointed towards the southwest. In the far distance near the center, the twin radar domes at Poro Point are barely visible. The mansion on top of the hill at the left is reportedly owned by a showbiz personality (a popular comedian). The house in the foreground with a multi-gabled roof sits on top of the leveled hillside near the pottery stalls. The MNR and the shoreline along Taboc form a photogenic double S-curve, while the placid China Sea to the right awaits eager surfers to ride its waves. Shooting info - Brgy. 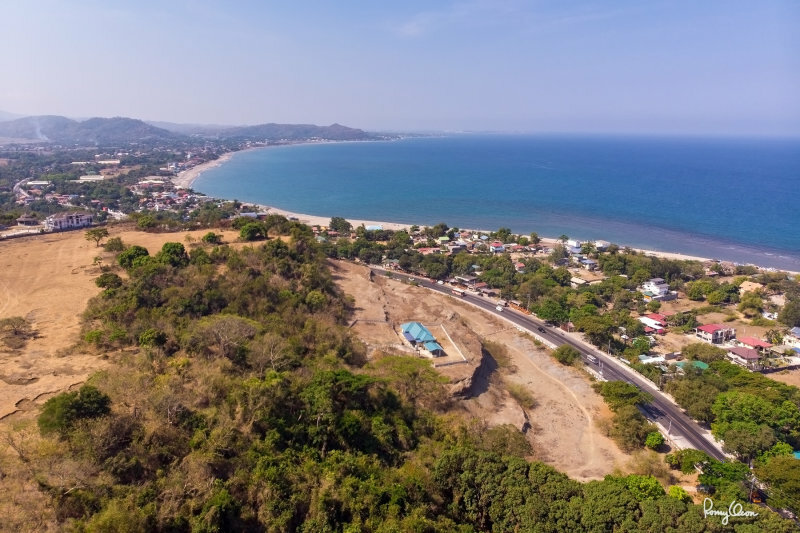 Taboc, San Juan, La Union, April 7, 2019, DJI Mavic Air, 4.5 mm, f/2.8, ISO 100, 1/1000 sec, altitude 105.60 m ASL.